Cute Dining Booth Sets for Your Home! My Top Favorite Beautiful Dining Booth Sets for Your HOME! How would you like to get a booth to eat your meals every day on every meal? I found the most amazing dining booths for home! You can have your very own booth in your dining room! *Just like this gorgeous white color breakfast nook set you see in the picture above… isn’t it cozy? I love the gorgeous white and gray color combination! It’s super compact as well and it will make your dining room look amazing! Here are my top favorite home dining booths for sale! Have the most wonderful meals! This is a gorgeous white dining room or kitchen booth set for sale! It includes the table and the benches. I think it’s very cozy! *This is a Fancy Dining Room Booth Set for Sale! 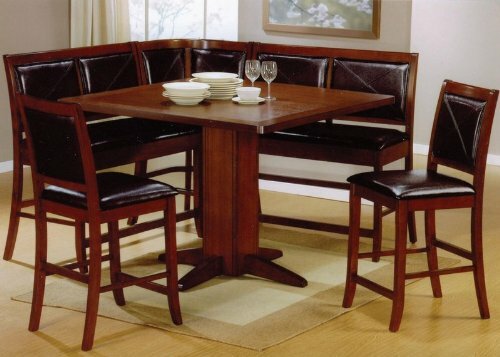 This is a gorgeous and very elegant 6-piece dining-room booth set for home! It includes the gorgeous dining table and dining stools too. It has a comfortable black vinyl padded upholstery on the chairs and seats and a gorgeous dark brown finish. Beautiful Corner Nook Dining Set for Sale! 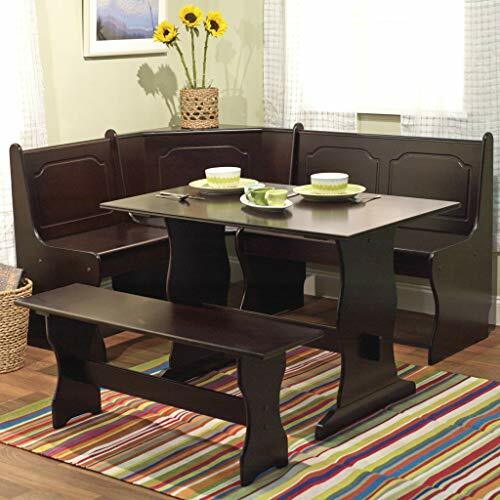 This is a cute and affordable chocolate brown color breakfast nook dining set for 5 people. It has a gorgeous color combination and it’s made from wood. It’s also very comfy to sit down and enjoy a nice meal! 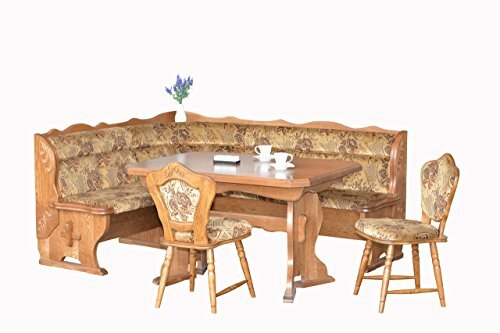 This gorgeous European large breakfast nook set for sale will make your dining area look like a relaxing country hotel cafeteria! First of all I LOVE the beautiful colors and the very cool and unique design! They spell ‘have a great morning’! 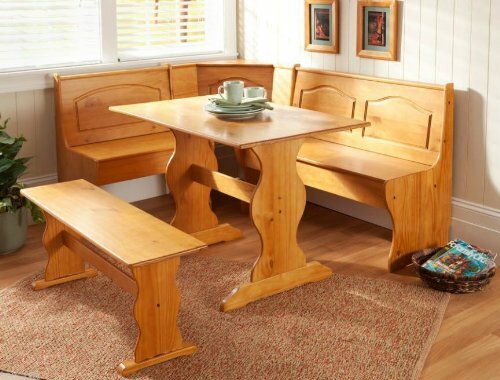 This very cute European breakfast nook set for sale is made from solid oak wood! All chairs and seats are extremely comfortable! 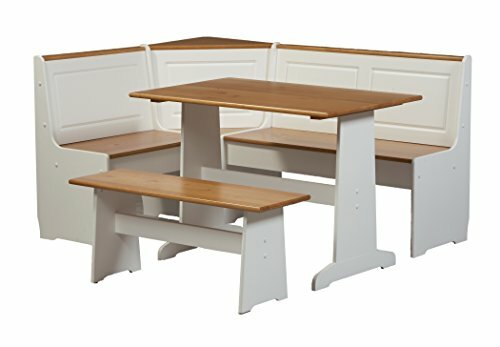 This cute dining booth set fits about 8 people comfortably! Just when you thought these dining booths for home couldn’t get any better… They do! How beautiful and very ‘rustic’ looking is this chocolate brown color wood breakfast nook set for sale? It is the first time I see one like this! Will make your dining-room look like a cozy hotel in the woods! I know… I am probably making your choice more and more difficult right? How can you choose among these dining booths for home? It also has a very nice storage space underneath the bench. 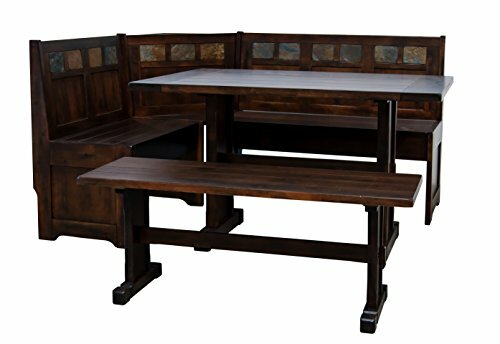 *Affordable Solid Wood Dining Booth Set for Sale! 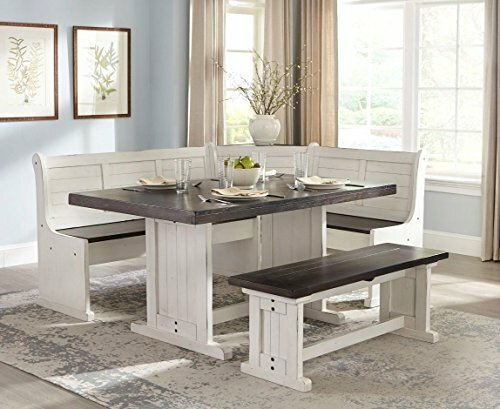 If you are on a budget but would LOVE to buy a beautiful dining nook set for your kitchen, then I think this one might be for you! It’s not only affordable, but also gorgeous!! I love this natural wood finish! Will brighten up your kitchen or dining-room and make it look so unique! Stunning Espresso Color Wood Complete Corner Nook Set for Six! 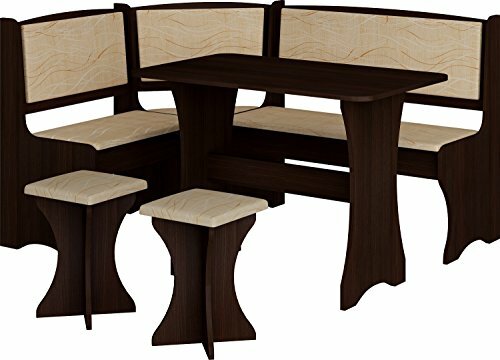 If you are looking for a cheap breakfast nook set for sale in a beautiful espresso color, how about this one? A stunning corner nook set for home! This dark wood color looks great in a dining room! Very inviting! Before I left I had to show you one more cute dining booth set for sale! 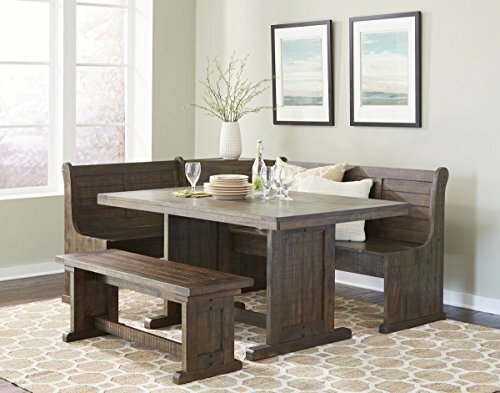 It is a stunning ‘distressed’ look walnut color pine and birch solids breakfast nook set that seats 5 to 6 people!